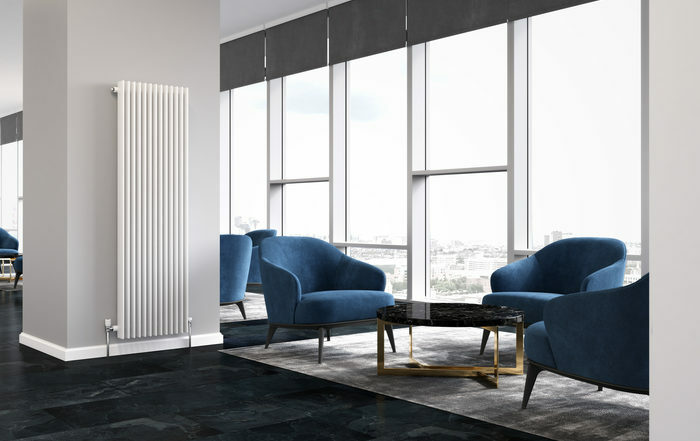 Let’s face it, it’s not easy choosing the perfect radiator model for different rooms in your home, mainly because most of us don’t really know where to begin. Nowadays, the radiator market is absolutely saturated with different radiator models. The huge diversity and variety mean that unless you are already au fait with all of the important radiator technology and radiator terminology, you’re going to feel pretty lost. This is why we thought it would be useful to talk you through two of the main radiator categories on the market. Here, we will demystify horizontal and vertical radiators for you. The modern radiator model now comes in a huge array of shapes, sizes, designs and specifications. That said, you can easily be more efficient with your choices by splitting the radiator market down the middle and considering either vertical or horizontal radiators. So, does your radiator choice have a huge impact on your living space should you choose one model over another? In reality, the vast majority of top radiator manufacturers will stock a large selection of horizontal and vertical radiators. The horizontal radiator is the more traditional option. Typically, you will find that a horizontal radiator extends widthways along a wall. The main aim of this radiator model is to emit their heat into the centre of a room. You will often see radiators strategically placed underneath windows to help counteract the cold air in the room. Placing horizontal radiators under windows also means that wall space is not taken up with radiators, regardless of how slim the model may be. It’s important that the immediate space around a radiator is free from obstacles, as this will ensure your radiators can offer cost-effective heating. Also, there will be no restrictions when it comes to the layout of furniture in a room. There is definitely a lot of talk about vertical radiators, and essentially, that’s because compared to the traditional horizontal radiator, it’s still a relative newcomer. When it comes to stylish, modern-looking designer radiators, vertical options are typically at the forefront. This is largely because of their sleek and slim-fitting designs, which help to create a minimalist appearance. You will typically see vertical flat-panel radiators in kitchens and bathrooms and these models soar upwards. They are capable of emitting a lot of heat energy into the centre of a room. One of the benefits of choosing vertical radiators is that designers at the outset are able to be more creative. This is why vertical radiators are often a great solution if you are working with small spaces. When you are picking your perfect radiator system, your decision should always take into consideration your personal feel for style and design. It is also important to think about the space available in the room you will be installing the radiators in. For smaller rooms, vertical radiators are often an ideal solution. Alternatively, if you’re looking for an understated appearance, the horizontal radiator may be a better option. Which radiator model do you prefer? Let us know in the comments below.